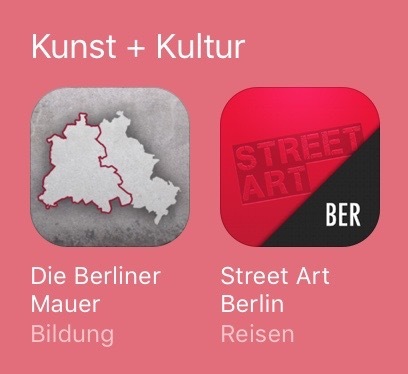 Der App Store empfiehlt Kunst + Kultur in Berlin. Als Highlight meine App: Street Art Berlin. Posted by Uli Schuster at 10:58 pm on January 24th, 2016. Categories: Street Art. Tags: app, Berlin, iphone, Street Art. Street Art duo Various and Gould have spent twelve days on their work ‘Face Time’. 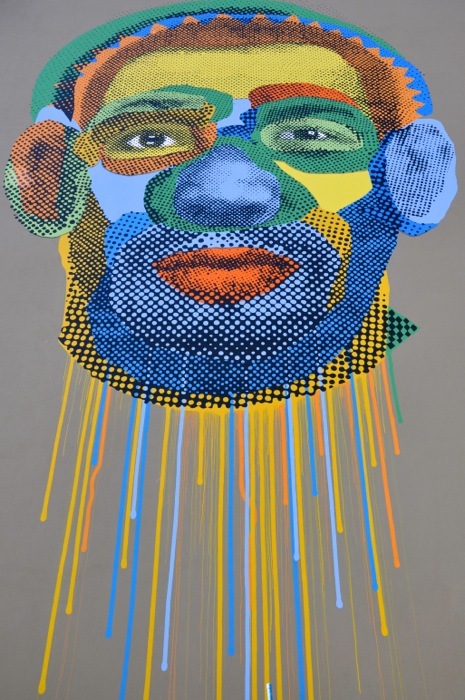 A patchwork of colored areas and painted dots with a strong reference to their favorite technic of silkscreen printing. Face Time is not a portrait of one person but rather a character study. An identity based on a patchwork of different sources to celebrate the diversity of mankind. 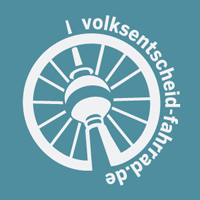 The work was developed in cooperation with the architects roedig . schop and is covering a mural of about 350 square meters. You will find the mural in the neighborhood of Moritzplatz, close to the former border. Posted by Uli Schuster at 2:14 pm on July 20th, 2015. Categories: Fotos, Street Art. Tags: app, Berlin, iphone, mural, Street Art. ‘If I Knew The World Ended Tomorrow, I’d Still Plant An Apple Tree Today.‘ is a mural inspired by the quote by Martin Luther. 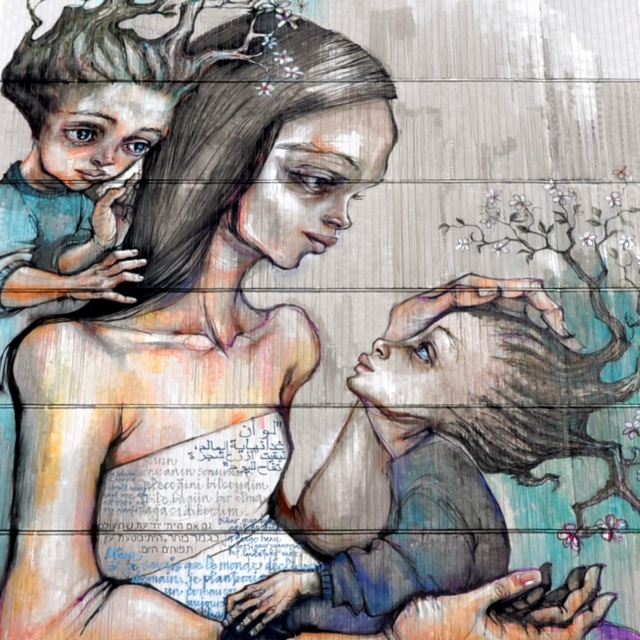 Painted by Hera and Akut, known as the artist duo herakut. The painting illustrates the quote and includes 20 translations of it. 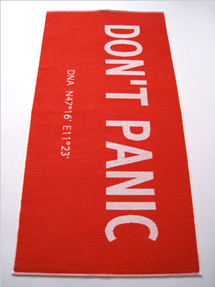 Of course, also the original in German: ‘Wenn ich wüsste, dass morgen die Welt unterginge, dann würde ich heute noch ein Apfelbäumchen pflanzen‘. Posted by Uli Schuster at 3:57 pm on July 2nd, 2015. Categories: Street Art. Tags: app, Berlin, iphone, mural, Street Art.